ERNESTO BRETON (Dancer) began his formal training at Fiorello H. LaGuardia High School in New York City. He graduated from The Juilliard School in May 2013 under the artistic direction of Lawrence Rhodes. Ernesto has had the opportunity to dance works by José Limón, Andrea Miller, Raewyn Hill, Eliot Feld, Pam Tanowitz, Alexander Ekman, and William Forsythe. He's also had the opportunity to dance in Bejart's Bolero with the Paris Opera Ballet at Lincoln Center, New York. In 2011, Mr. Breton was a part of Project Maru-a-Pula, an interdisciplinary arts outreach group, created by Juilliard students, that traveled to Botswana, Africa, to empower their youth through workshops and community enrichment programs . He currently performs in the off-Broadway show called Sleep No More and with the Merce Cunningham Trust. NIGEL CAMPBELL (Dancer) was born and raised in the Bronx, NY. 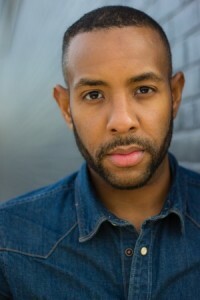 He began his training at Creative Outlet Dance Theater and is a graduate of LaGuardia Arts High School (04') and of The Juilliard School (08'). Nigel has Danced for the Saarlandisches Staatstheater/Donlon Dance Company, Luna Negra Dance Theater, and The GöteborgsOperans DansKompani, as well as guested with The Metropolitan Opera Ballet, Abraham.In.Motion, and Sidra Bell Dance New York. Currently Nigel is an Artistic Associate with the Gibney Dance Company in New York City. Additionally, he is the recipient of a 2011 Princess Grace Award, a National Level 1 YoungArts Award, and an NAACP ACT-SO Gold medal. Nigel is a 2004 Presidential Scholar in the Arts and has been featured on the PBS documentary American Talent. JORDI COATS (Producer) Jordi is a New York based producer and director. Most recently, she acted as the technical director for The Performing Arts Project. Other credits include: Producer of "EverScape" FringeNYC 2015,​ ​​Associate P​roducer of the award-winning "Mother Jones and the Children's Crusade" NYMF 2014, Asst. D​irected and A​ssociate ​P​roduced "Volleygirls" at NYMF in 2013 (Best of Fest), IAMA Theatre Co's "Shiner" (asst. director) and has been collaborating on many film projects in the city. Previously she has worked with Binder Casting, Tara Rubin Casting, and Telsey + Company casting. ​She is a graduate of the Univeristy of North Carolina at Chapel Hill. While in NC, she founded The Talent Company, a theatre company for middle and high school students in the Uwharrie region that is currently in its 10th season. CHUCK COLLINS (Comic Artist) is an illustrator based in New York City. From 1999 until 2008 he worked in animation for numerous companies, including Augenblick Studios, Viacom, and Animation Collective. He has self published a few comics and one graphic novel under his company RatRonin studios. KEVIN CONNOR (Delectable Desserts) is so thrilled to be helping with Salon BKLYN! A recent graduate of The Boston Conservatory, Kevin has worked on many shows at the Conservatory and in the Boston area... he also makes badass desserts in his 'spare' time. LENA GROTTICELLI (Spoken Performance Art) is a New York City based theater artist and has taught theater and public speaking classes at Rutgers University, for non-profits in NYC, and at acting and special needs schools in Northern New Jersey. Acting credits include: The Little Engine That Could (Nat'l Tour), Grease, Spelling Bee, Hair, The Laramie Project, Spring Awakening, The Diary of Anne Frank, Reefer Madness, Lysistrata. Graduate of Rutgers University with a B.A. in Theater & English, honors thesis in directing. www.Lenagrotticelli.com. TRACEY HASSEL (Stand Up) has most recently been seen on stage at The PIT for Sketchfest and Sketchy Sketchy Prov Prov, and at The Stand doing her fledgling comedy thing. She graduated from Pace University with a dual degree in Acting/Psychology, and is thrilled to be involved in the All Hallows Salon! TIM HELLER (Scrumptious Food) is a New York based actor who hails from the land of cheese and beer,Wisconsin. He is a graduate of Texas State University's BFA Musical Theatre program and made his NYC debut in EverScape, part of the 2015 NY International Fringe Festival. Tim loves food and minions. ANDREA MURILLO (Dancer) is a performing artist currently living in Brooklyn, NY. After graduating from New World School of the Arts College, she began touring with the Martha Graham Dance Company. 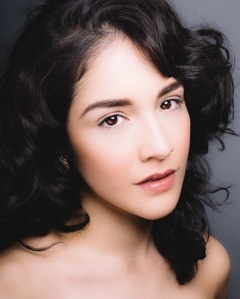 During her time there, Andrea performed solo roles such as “Lamentation,” “Serenata Morisca” and lead roles in “Embattled Garden,” “Steps in the Street,” and “Snow in the Mesa.” Later in 2012, she transitioned to Sleep No More NYC. Andrea has recently worked with Vice, Mirrorball, Daniel Yankiver, Rosie Hererra, and Troy Ogilvie. Andrea is currently working with different filmmakers to develop a visual and unique language between dance and film. JOHN MURRELL (Robbing Johnny - Band) A musician and music specialist at Harlem Children’s zone, John is a multi-instrumentalist with soulful tenor vocals. He provides the musical foundation for the band Robbing Johnny with his background in classical and world music, and easily swaps various instruments (including the piano, guitar, mandolin and percussion) on stage. TROY OGILVIE (Dancer/Choreographer) has danced for and collaborated with choreographers Sidra Bell, Gabriel Forestieri, Belinda McGuire, Andrea Miller, and Patricia Noworol; musician Liv Heym; theater company Punchdrunk; and director Peter Sellars. She has been working as a solo artist since 2008, performing solos by Sidra Bell, Itzik Galili, Margie Gillis (as a member of the The Legacy Project/Le Projet Heritage), Shannon Gillen, Austin McCormick, Andrea Miller, Idan Sharabi, and Harumi Terayama. Before performing as Lady Macbeth in Punchdrunk's "Sleep No More" (2013-2014), Troy toured internationally with the LA Philharmonic, performing the role of "Mary" in Peter Sellars' "The Gospels According to the Other Mary," composed by John Adams. She collaborated with violinist Liv Heym in "Music in Dialogue with Movement" (2013), creating a duet inspired by tango and tarantella. She is currently engaged in a series of performance experiments. Tonight is part two. 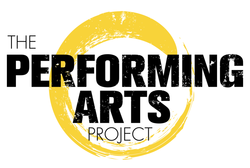 THE PERFORMING ARTS PROJECT (Short Film) PerfArtsProj is a not-for-profit organization formed by a group of respected educators and entertainment industry professionals to help prepare the next generation of performers. The Performing Arts Project provides instruction in all aspects of the performing arts including acting, dancing and singing. Our student body comprises young performers from around the world who are admitted solely by audition. The Performing Arts Project offers a dynamic and constantly-evolving program, the cornerstone of which is a three-week summer intensive during the month of July. We also hold weekend workshops throughout the year at various locations for students of all age groups including middle school, high school and college. ANGEL REY (Music Video) is a renowned vocalist, lyricist and performer born and raised in Washington Heights and Jackson Heights, NY. He studied classical and jazz voice at Binghamton University while performing in various theater productions and in the 80’s a cappella group, The Rhythm Method. Bandleader Michael Carbone coined the nickname Angel “Ray” Reynoso, inspiring Angel to drop the last four letters of his last name and introduce himself to the world as Angel Rey! In 2010, Angel was awarded Best Male Solo for his performance of “Closer” with One Guy Upstate at the 26th Annual Harmony Sweepstakes A Cappella Festival. Other credits include singing backup for Latin recording artists Lusi Fonsi, David Bisbal, Laura Pausini and Alejandro Sanz plus voiceover work with the Community & Outreach department at Sesame Workshop. His debut album, Higher Than The Sky, will be released in the fall of 2015. 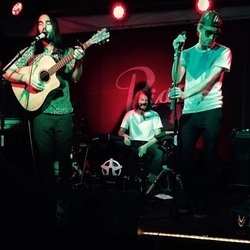 ROBBING JOHNNY (Band) consists of John Murrell (vocals, piano, acoustic guitar), Pat D. Robinson (vocals, rap) and Jordan Brooks (percussion, keys, vocals). The band formed in 2014 while Pat was putting out rap music with Analog Rascals and John was a solo artist. They merged their styles and created one of their own, blending the storytelling and lyricism of hip hop and folk music with the energy of a rock band. Jordan joined the band in early 2015 after graduating Berklee College of Music and starting his masters in percussion at NYU. The band’s first EP will be released November 13th. 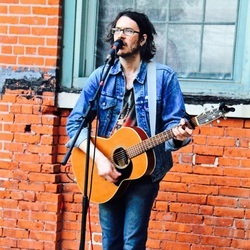 PATRICK ROBINSON (Robbing Johnny - Band) is both a playwright and songwriter. He spits sharp, spontaneous and poetic lyrics with the ability to freestyle any given beat or chord he’s dealt. Pat contributes his vocal talent to Robbing Johnny just as much as his rapping, and exchanges roles with John at different points. He is also the rapper in Analog Rascals and likes to read books and drink coffee. Combined, Robbing Johnny intertwines rock n’ roll, rap, folk and soul to unite music tastes and bring people together. RUE SNIDER (Dead Man’s Shoes - Music Video) Rue writes melodic songs with choruses that get stuck in your head like a dream you pleasantly remember. His lyrics are quirky, specific, and deeply personal while attempting to address universal emotions. His live show is part comedy, part folk revival, and part private confession. Rue is a rode warrior who performs a hundred plus shows per year in front of audiences large and small anywhere music is welcome. He lives in Brooklyn, NY. FRANCOIS TORRES (Spoken Word) These days, apparently time is of the essence and everyone seems to scurry about within their daily e-mails, twitters, on-line dating services and whatever else has been brewing for this current remotely connected culture. In the midst of this electronic storm I have found humans with a desperate desire to disconnect, lost within the swells of a time divided between the current reality of technology and the forgotten truths of ancient wisdom, reaching out fearlessly to unplug the cord which keeps them locked in to false images. These falsehoods, once unfurled will allow everyone to remember how to speak and live life once again. How to share time and effort, joy and experience. Love and existence. I have always delighted in greeting my human family in person, reaching out to the open hand of honesty and acceptance, a simple shake of friendship, a warm embrace with their essence emanating from their eyes, and allowing in full spectrum how to see ourselves in unison. I just want to share life! My bio is your bio. Thank you.